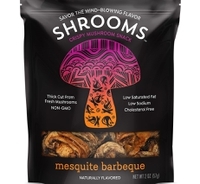 12 Feb 2019 --- South Mill Champs, one of the US’ largest mushroom growers, has launched a new snack food venture, Shrooms Snacks. The brand aims to provide adventurous tasting, better-for-you snacks using mushrooms grown and handpicked at the South Mill farms in Kennett Square, Pennsylvania, US, also known as the “mushroom capital of the world.” The launch comes as plant-based snacking continues to make waves in the food industry, showing large-scale opportunities for growth. Consumer awareness regarding the health benefits and versatility of mushrooms are some of the key factors influencing the growth of the mushroom market at present. The growing interest in plant-based products and the fact that many consumers are looking to reduce their meat consumption by swapping meat dishes for alternatives is driving mushroom innovation. According to Innova Market Insights, the so-called fresh appeal also exists in snacking, with 13 percent average annual growth being reported for fruit and vegetables with snack claims globally (2013-2017). Sixty-six percent of US consumers say they love to discover new flavors (Consumer Study 2018, Innova Market Insights). The market researcher has touted “Discovery: The Adventurous Consumer” as its top trend for 2019. The food and beverage industry is increasingly focusing on satisfying the adventurous consumer, with consumers moving out of their comfort zones to explore bolder flavors and multisensory food experiences. Click to EnlargeMushrooms are also one of the only foods that contain germanium, a trace mineral that helps your body use oxygen efficiently and prevents against damaging effects of free radicals, Eberwein notes. “We’ve learnt that consumers crave exciting, out-of-the-ordinary snack options in bold, exciting and adventurous flavors. Mushrooms are the perfect food to take snack time to the next level; wholesome snacks in mind-blowing flavors,” he adds. “As the popularity of plant-based snacking continues to rise, we started thinking about ways to reinvent the mushroom to create conveniently, better-for-you snacks that taste amazing and use the fresh, whole mushrooms we're growing and farming every day. 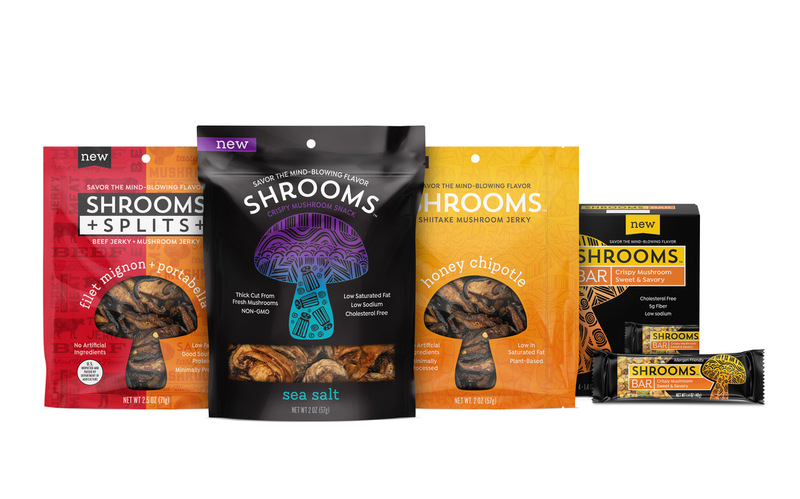 After much development, we've created a line of snack products that are unlike anything else on shelves today and we're excited to bring them to mushroom lovers everywhere,” explains David Eberwein, Director of Innovation & Business Development at Shrooms Snacks. The discovery trend is particularly prevalent in the snacking space, where bold flavors are refining the snacking experience. A look at the average annual growth of selected flavors in new snack launches (Global, CAGR 2013-2017) found exotic flavors (31 percent), beef flavors (15 percent) and chili flavors (14 percent) to be among the most trending options. For most consumers, snacking is a part of daily life and always has been. What is changing, however, is the way that people think about snacking and what is considered to be a snack. Snacking is no longer the optional extra, but the definitive occasion. Snacking is a central focus of innovation across all food and beverage categories, with 10 percent average annual growth of global launches with a snacking claim over the past five years (CAGR, 2013-2017), according to Innova Market Insights. Three square meals are no longer the mantra either – a fourth, fifth or even sixth meal culture is emerging, as grazers look for an extra pick-me-up during the day. At ISM 2019 in Cologne, Innova Market Insights presented the latest confectionery insights on product development from around the globe. Beyond the notion of an adventurous consumer, snacking as “the definitive occasion” was also highlighted. “We see a lot happening in snacks. Snacking is no longer an optional extra, there is really a fourth meal culture emerging,” notes Irene Kersbergen at the company. But targeting different needs is also key, Kersbergen stresses. “Millennials, for example, want to have snacks on the go, while other generations really want to have healthier snacks. So you see vegetable-based and rice-based snacks trending, as healthier options come to the market,” she notes. There is plenty of innovation ongoing, including the rise of mushroom-based snacks. “This also relates to feeling good in terms of emotional well-being, as mushrooms do have a medicinal image. So it meets both the healthy snacking and emotional well-being trends,” she points out. Shrooms Crispy Mushrooms (US$5.99, 2.0 oz): These crispy-crunchy snacks made from thick-cut mushrooms are available in five flavors including Sea Salt, Spicy Jalapeno, Mesquite Barbeque, Pizza and Original Portabella. Shrooms Mushroom Jerky (US$6.99, 2.5 oz): Made from shiitake and meaty portabella mushroom caps, “this next generation jerky takes your taste buds on an unforgettable trip,” says the company. Shrooms Mushroom Jerky is deep-marinated to produce three adventurous flavors including Honey Chipotle Shiitake, Roasted Teriyaki Portabella and Original Portabella. 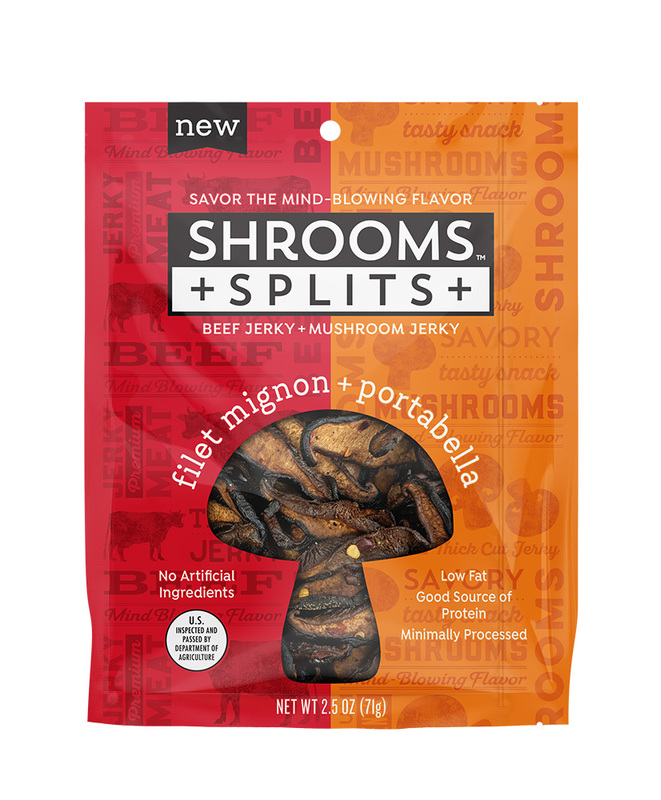 Shrooms Splits Jerky (US$7.99, 2.5 oz): This hybrid snack pairs marinated mushroom jerky made from meaty portabella mushroom caps with other chewy jerky varieties including Turkey, Berries, Filet Mignon and Peppered Beef, which are made from grass-fed, US-bred beef. All four varieties create an unforgettable snacking experience, says the company. Shrooms Snack Bar (US$7.96 4-pack; US$1.99 single): An allergy-friendly bar made from pure, wholesome ingredients including crispy mushrooms. Flavors include Crispy Mushroom Chocolate Chunk and Crispy Mushroom Sweet & Savory. All product lines are nut-free and dairy-free, the majority of SKUs are gluten-free, vegan and kosher. Shrooms Crispy Mushroom Snacks are also non-GMO Project Verified. Shrooms Snacks are available for US nationwide distribution on Amazon.